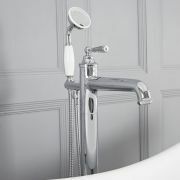 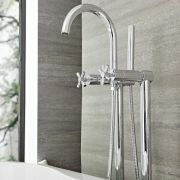 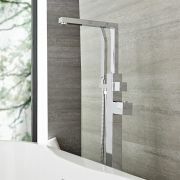 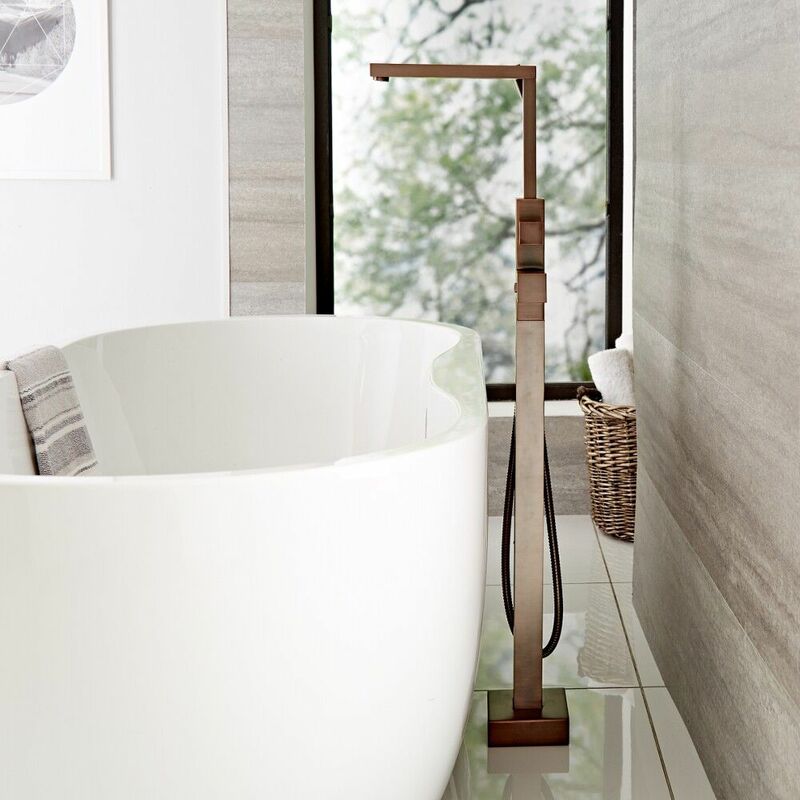 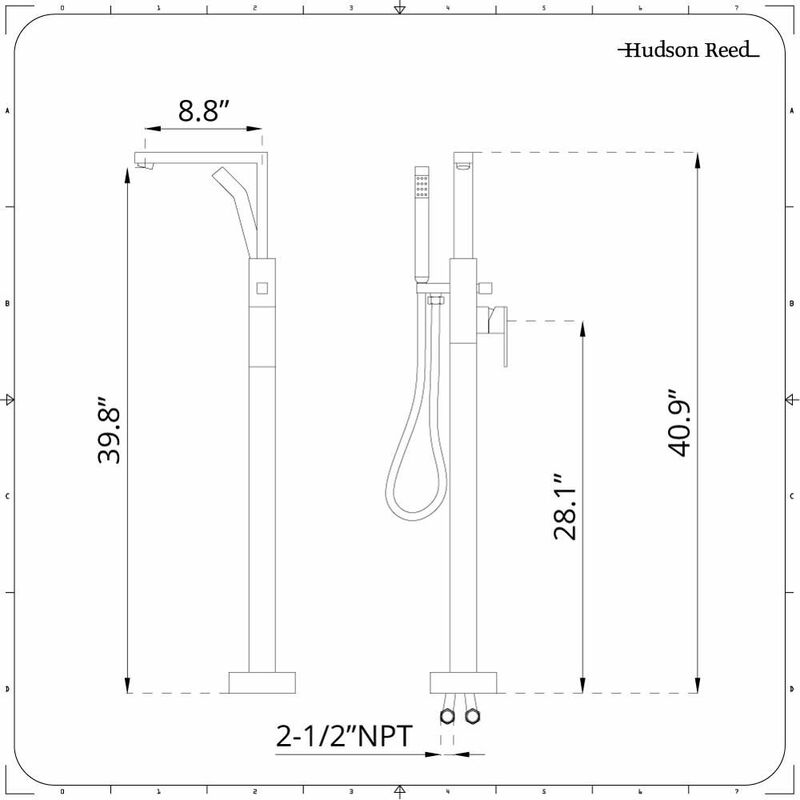 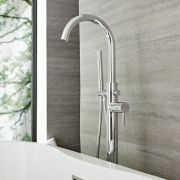 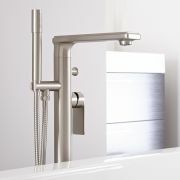 Add a sense of designer appeal to your bathroom area with this Kubix freestanding tub faucet with hand shower. 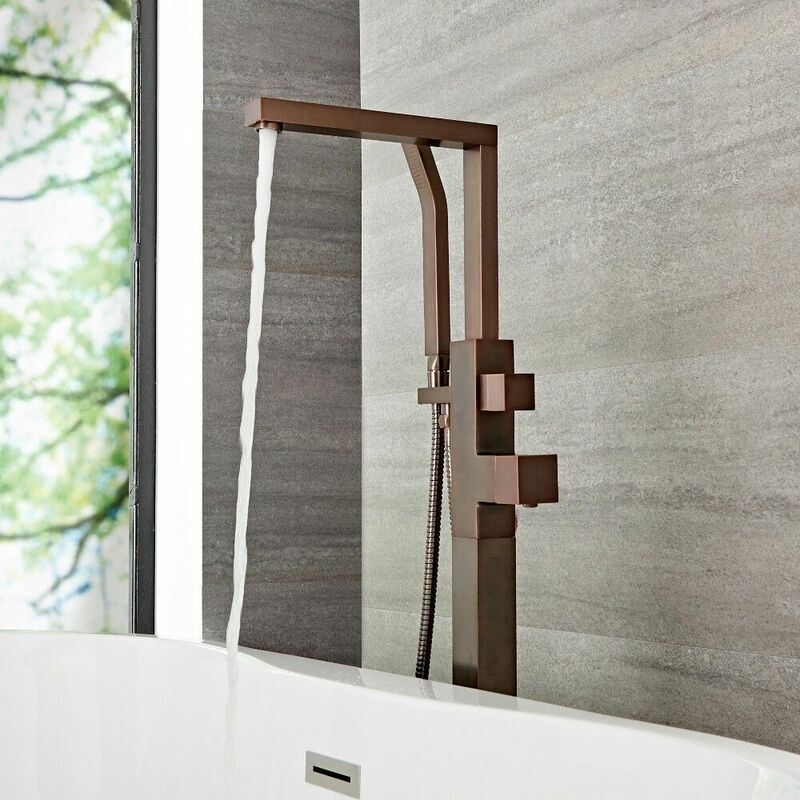 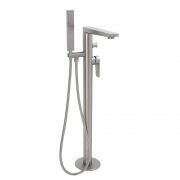 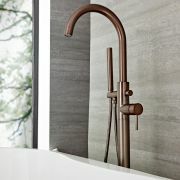 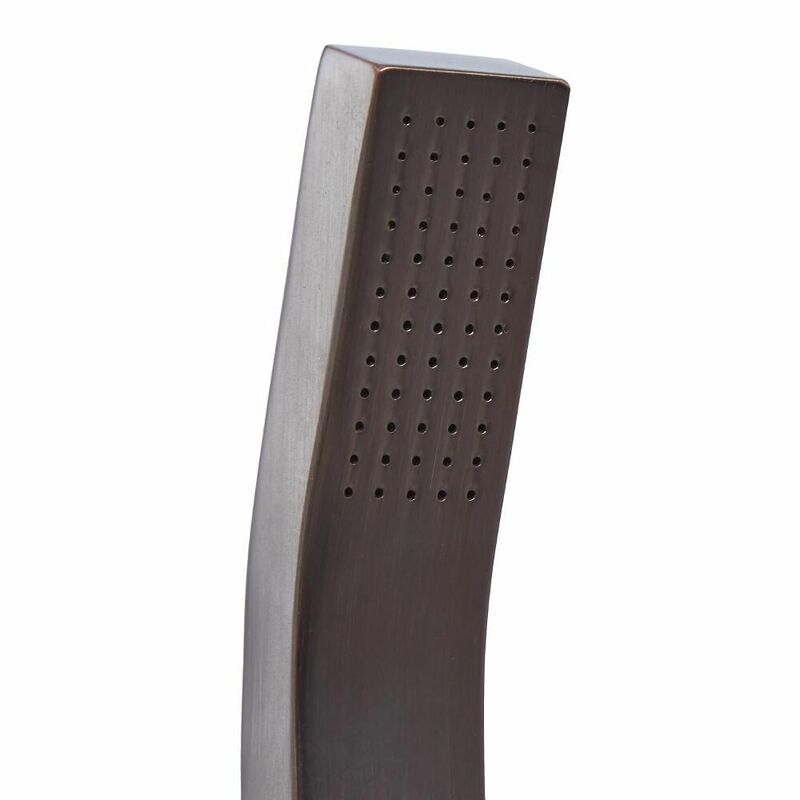 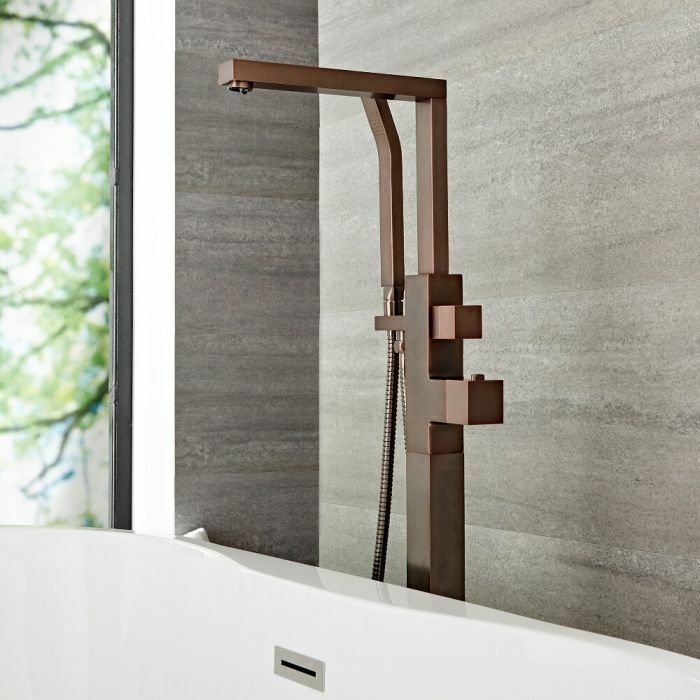 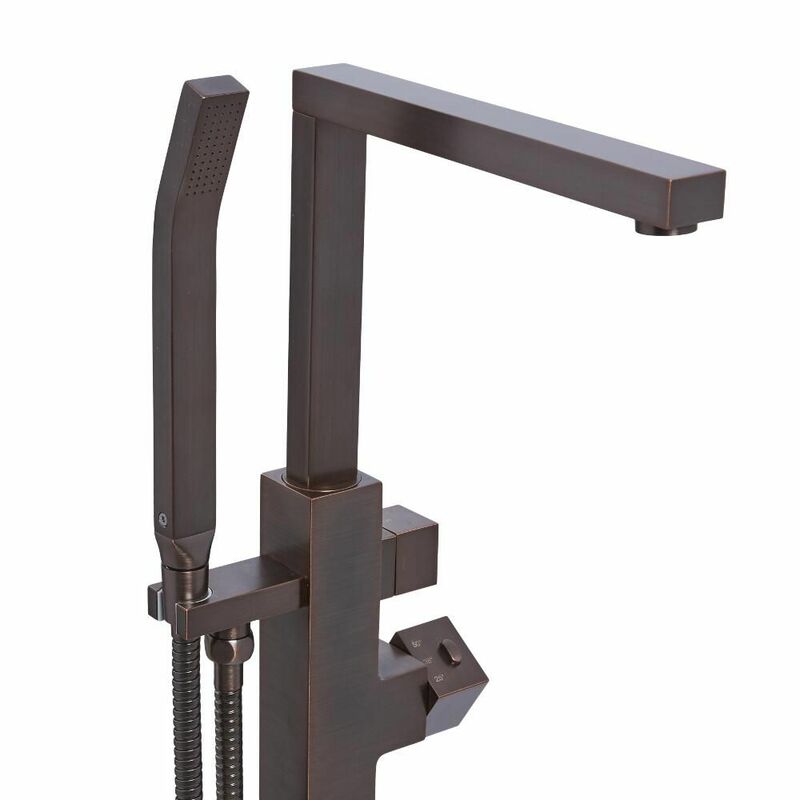 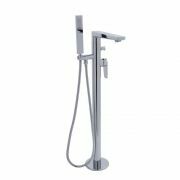 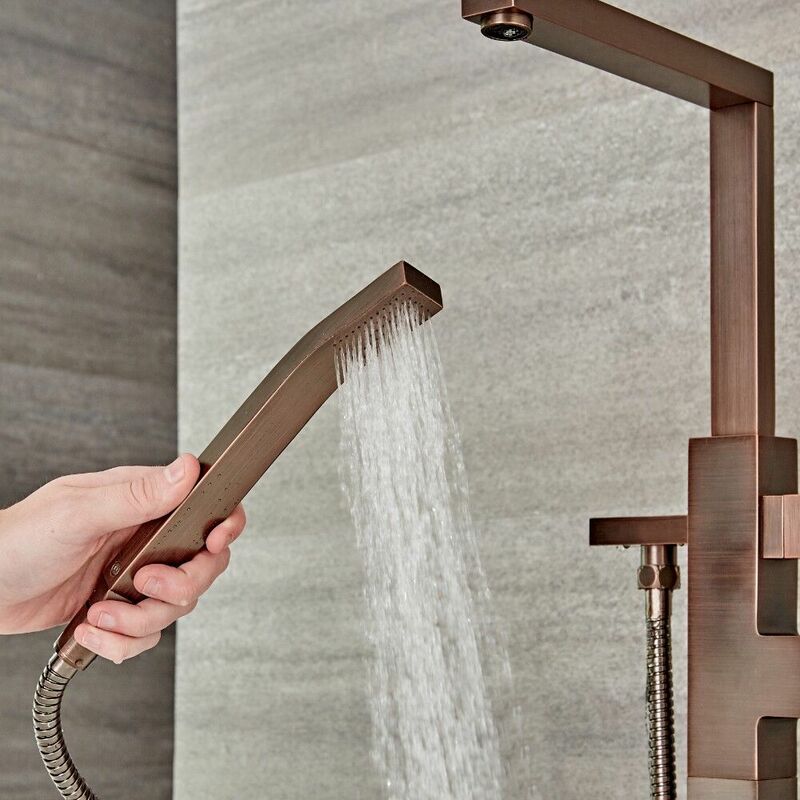 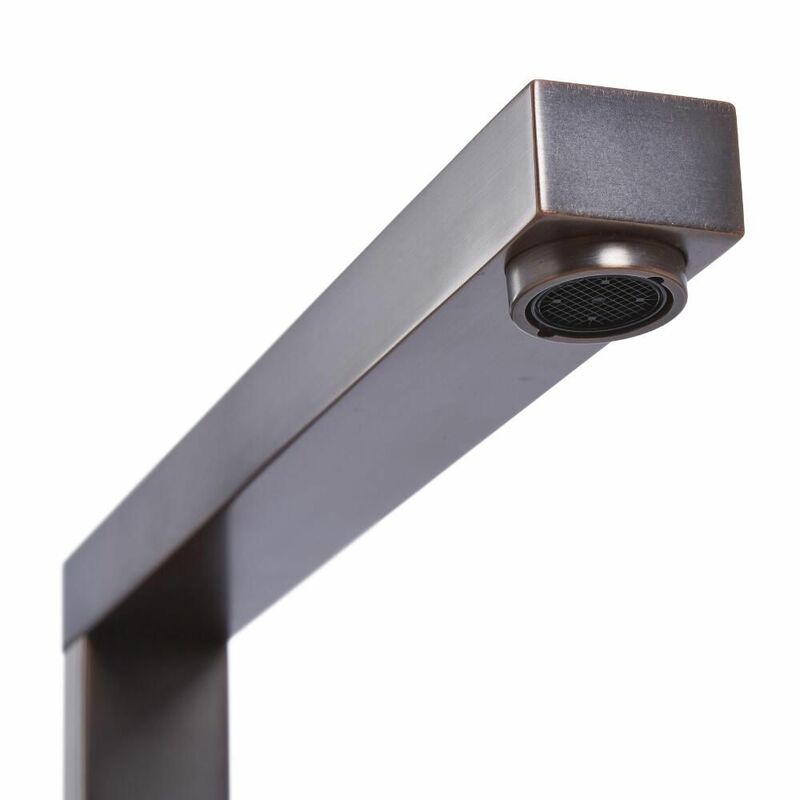 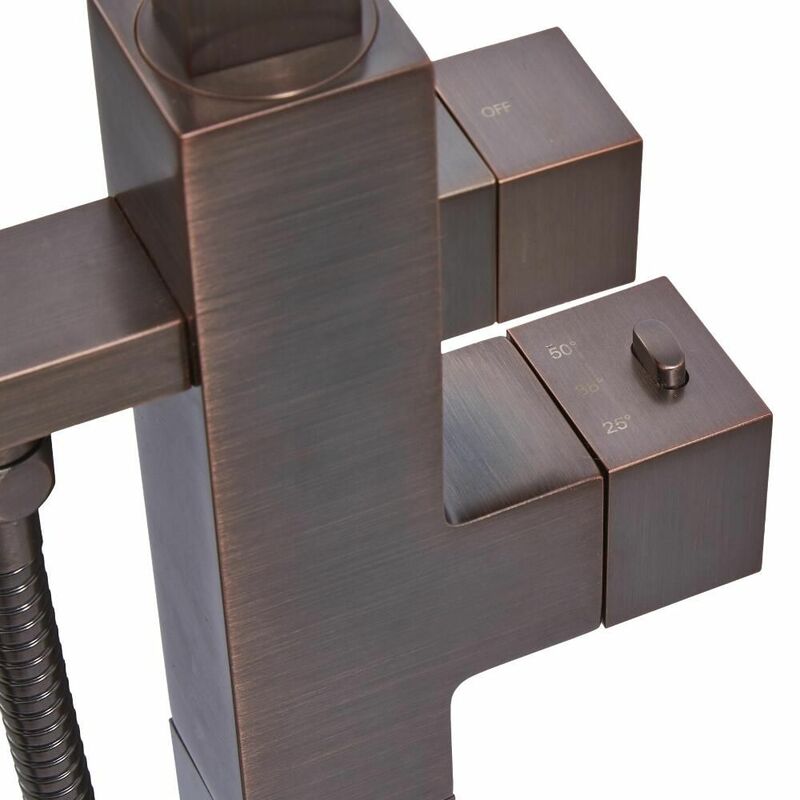 Made from solid brass to ensure outstanding durability, the bath/shower mixer incorporates a stunning oil-rubbed bronze finish and a brilliant contemporary design. 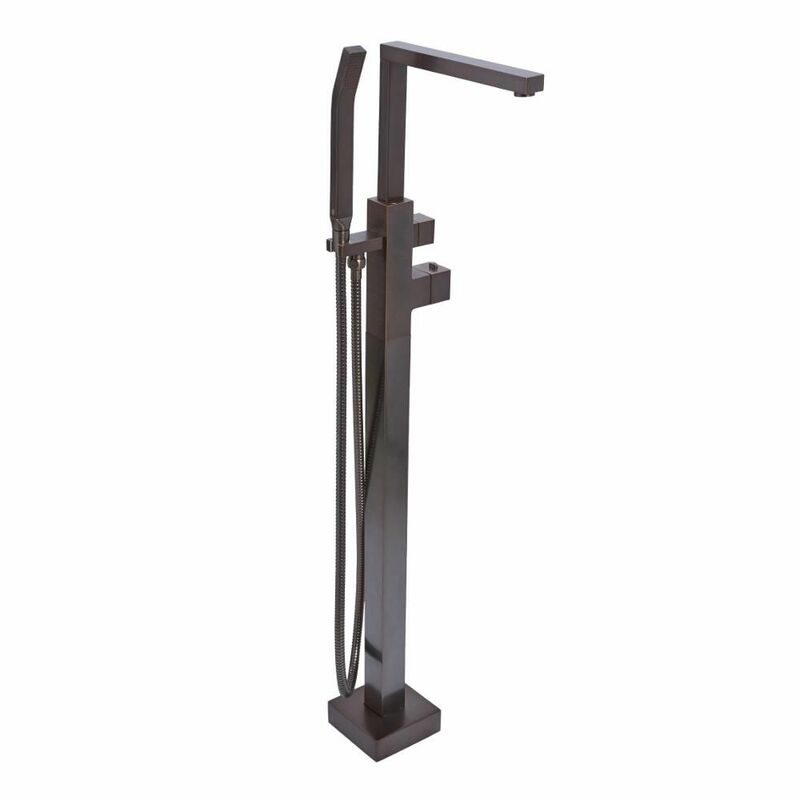 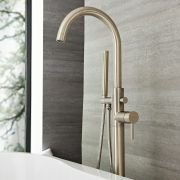 Also utilizing ceramic disc technology for the prevention of drips and leaks, this floor standing faucet is suitable for use with all plumbing systems.